As I’ve discussed before, I primarily shoot indoors, and am always looking for ways to bring some of Mother Nature into my studio. Last year, I wrote a piece called “The Great Indoors,” highlighting some miniature fake grass I’d gotten for my photographs. Consider this post Part 2! While I regularly use the grass for many of my photos, I actually have another staple that I turn to even more often: Sand! Unless you live near a body of water or in the desert, sand is actually a bit hard to come by. 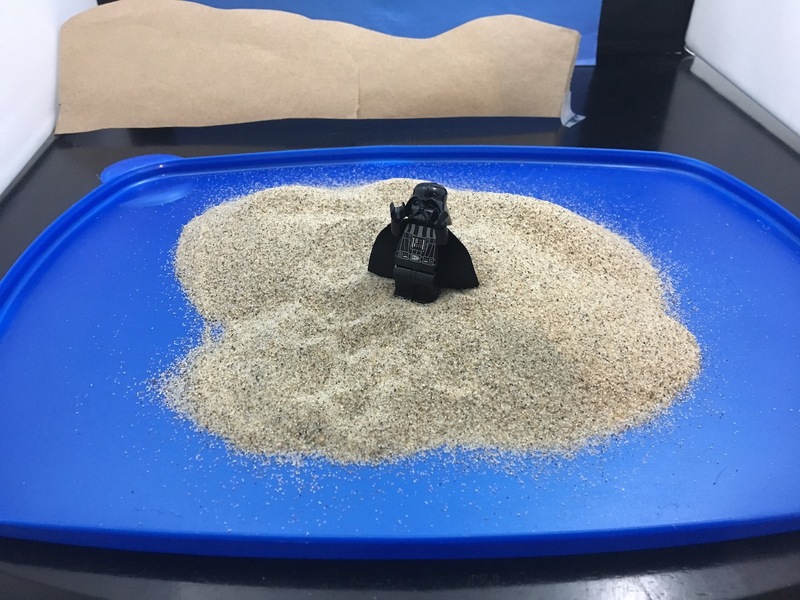 Sure, dirt is everywhere, but I was looking for lighter sand, primarily to recreate the iconic landscape of Tatooine (much to the chagrin of my Darth Vader minifigure, of course). I’m sure you can get sand at your local hardware store, or perhaps even pet store, but I turned to my trusty pal Amazon and found a cool company called Activa that sells “scenic sand” in a variety of colors: Beige, brown, light blue, green, orange, pink, red, bright yellow, black, moon shadow (whatever that is) and purple. You can buy the sand in one or five pound bags. I opted for one pound of both beige and black, as I felt they’d be the most photogenic and versatile. The sand comes pre-washed and therefore completely sanitary, which is honestly something I never even thought about. If given the chance I would have simply taken large scoops of it right off the beach! The sand particles are extremely small, looking perfectly natural next to a LEGO minifigure or action figure. There are even small black and reddish particles in the beige sand, making it look remarkably similar to what you’d find at the beach! 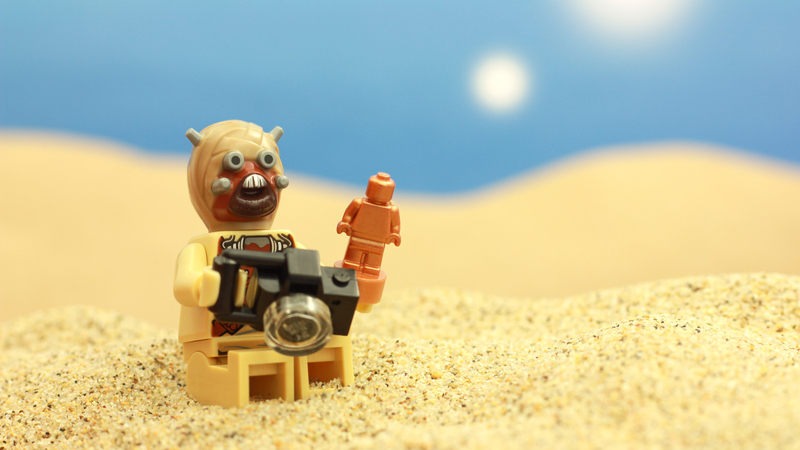 This Tusken Raider feels right at home in my studio sandbox! 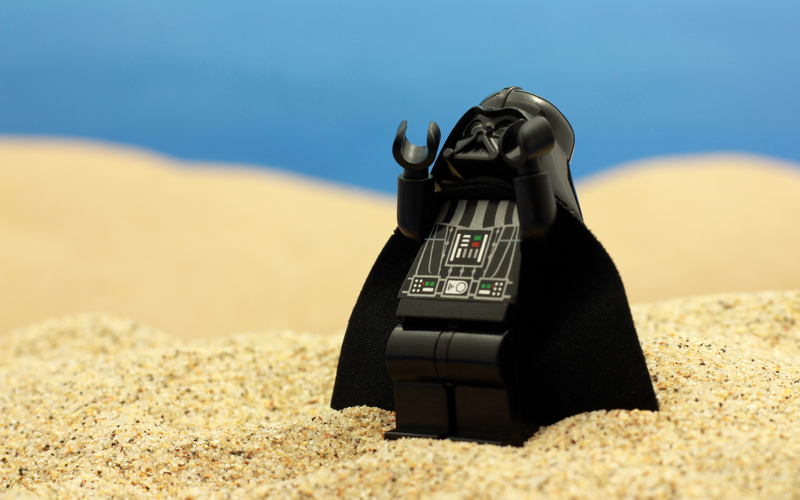 As great as the scenic sand looks in photos, it does come with its fair share of frustrations. It doesn’t just look realistic, it feels and acts realistic too. If you’ve ever built a sandcastle you know that sand is very prone to sifting and displacement. It doesn’t compact on itself and stay put like dirt does. The smallest movement can make your carefully constructed sand hill collapse right before your eyes. Anakin wasn’t wrong when he complained that sand gets everywhere. It sticks to minifigures as if it were made of crazy glue. I can’t tell you how many times I’ve had to dust off a minifigure after it’s fallen flat on its face! If you’re picky with editing out flaws like I am, missed sand particles sticking to your figures can be a pain, and add up to quite a bit of spot-healing time in Photoshop. Sand also seems to travel, sticking to your hands and sleeves, burrowing underneath your fingernails, or simply spreading across your scene with the slightest movements. To make clean up and storage easy, I take an old Tupperware lid and flip it over, creating a little makeshift sandbox to play in. The black sand has been fun to experiment with. If you lay it just right, it can look simply like dirt. It also closely resembles the sand you’d find at a volcano. I was able to create a pretty realistic forest scene in the photo above By using it along with the grass I’d previously purchased. There is, of course, no real substitute for the real thing, but if you live somewhere far from a beach, or simply don’t want to leave the comfort of your own home, scenic sand is a worthy investment! Have you ever used scenic sand in your photos? What colors or brands do you use? I’m always looking for suggestions, so leave me your thoughts in the comments below! 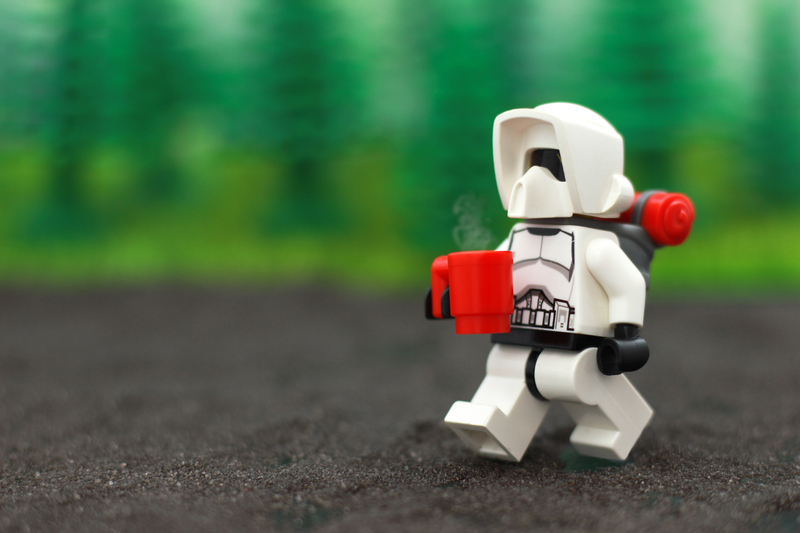 If you’ve made it this far, come continue the discussion over at our G+ community! And while you’re at it, subscribe to our weekly email round up so that you never miss a post, and listen to our new podcast! If I need sand I tend to use semolina. It’s a pretty cost effective sand replacement and doesn’t look too far off, although it’s very smooth and doesn’t have the grain you see on a real beach! Thanks, Lizzi! I totally forgot about semolina, I’ve seen that recommended before. I actually dislike the little grains in the beige sand, as I feel like the Tatooine sand I’m going for should be more smooth. I’ll definitely try out semolina and see if it’s closer to what I’m going for! No problem! I’m excited to see what you come up with if you do end up giving this sand a try. 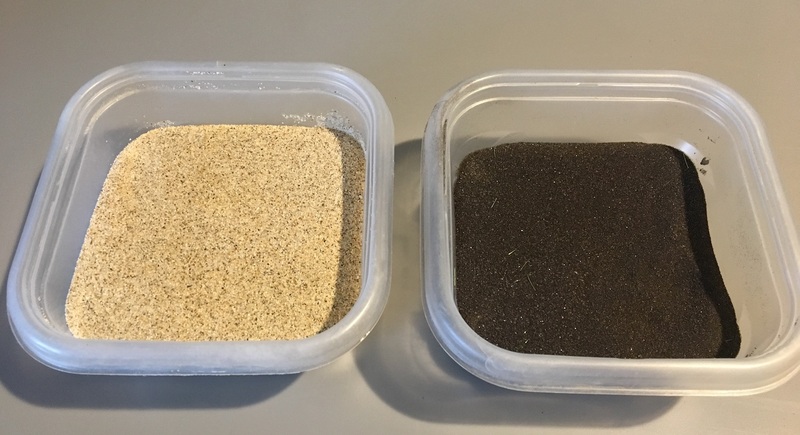 For those who aren’t as apt to online shop, because they need to see their sand in person like me, James is correct that many pet stores who sell aquarium supplies are also a great option for sand in various shades. Their sand is also pre-sanitized to protect your fishies (or your figs) from any potentially harmful wild or foreign bacteria. I have not personally used it for toy photography, rather for making cacti terrariums, although now I am going to have to give it a try. I also just happen to have been looking for an(other) excuse to get myself the beach-themed minifigure set that LEGO has out right now! Awesome, thanks Jenelle! I have heard that pet stores can have some great supplies for toy photography, but have yet to go into one and see. Maybe I’ll do that soon and write up another post about the experience. 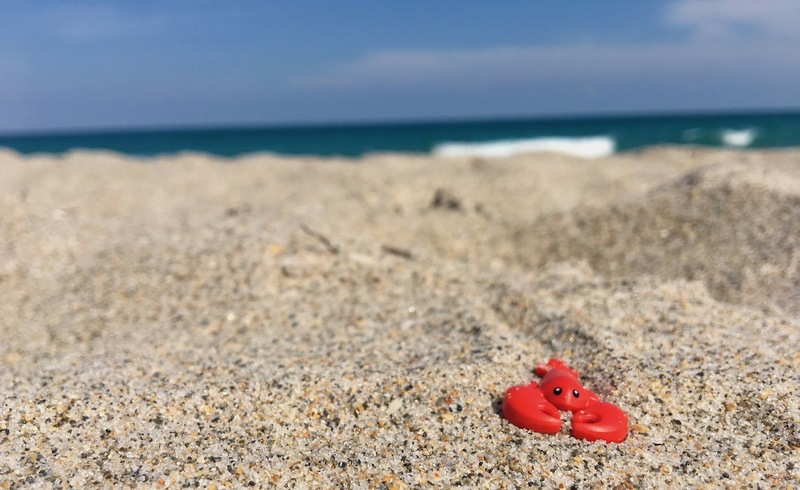 I love the beach-themed minifigure set, there are some fantastic pieces and characters! I think you’d get a real kick out of it. Cool post James. Thanks for sharing the tip. I have yet to experiment much with indoor photography. I can see it in my future. Thanks, Gary! Indoor photography has its limitations, but it’s also a lot of fun. I’m learning new things all the time. I look forward to seeing what you come up with once you experiment with it a bit! I would love to try it…but in my little flat it’s complicated to have a space to experiment compositions like this. Thanks Karine! I totally understand about the space. For a long time I was taking pictures at my kitchen table and wasn’t able to play around with any complicated setups.